As the death toll from Saturday's earthquake in Nepal continues to climb, many are still desperately seeking news about their loved ones. Over 3,700 have already been confirmed dead, and many more are missing. Aid groups have not been able to reach remote areas near the quake's epicenter, which they fear may be among the worst hit. Climbers are still reportedly missing on Mount Everest after the earthquake and its aftershocks triggered several avalanches. The 7.8-magnitude earthquake also tore down power and communications lines, and left large stretches of the Himalayan nation's infrastructure in tatters. Around the world, family and friends of people in Nepal scrambled to get information in the aftermath of the quake, amid patchy Internet and cell phone access. Local phone lines are crowded, and many are not working completely. 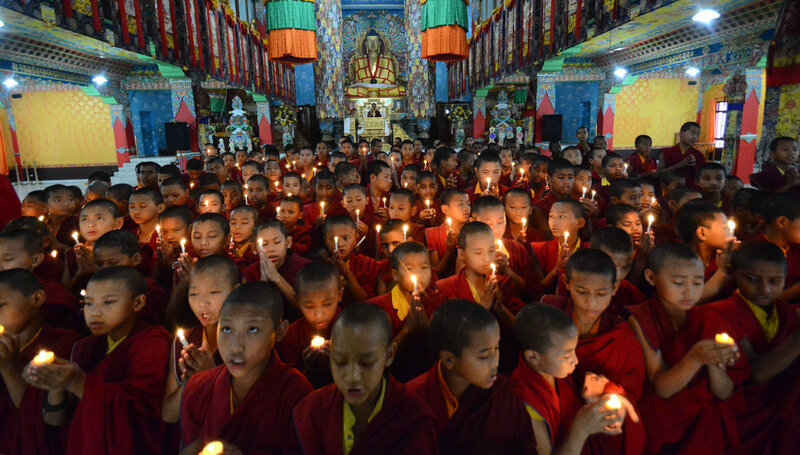 Gyatso finally heard from his brother in the Nepali capital of Kathmandu on Sunday, he said. His brother texted to say his family is fine, but they are sleeping outdoors in an effort to stay safe from further aftershocks. International aid group Oxfam said Sunday that at least 30,000 people have sought refuge in makeshift shelters set up by the government in and around the capital. Many have turned to social media tools and mobile phone apps to check on family and friends. Facebook's “Safety Check” tool allows anyone with a Facebook account to check how many friends are in an affected area, and see how many of them used the tool to confirm that they are safe. Google also launched a Person Finder tool in Nepali and English, which allows people to search for and share information about missing persons. Web-based messaging tools like WhatsApp and WeChat have helped people circumvent crowded or disrupted phone lines. Internet messaging and call service Viber on Sunday made calls in and out of Nepal free of charge in the wake of the earthquake. Nepali community associations in the United States also launched efforts to connect people to missing loved ones, as well as fundraise for relief efforts. Bhurtel said several Nepali diaspora groups were helping to track down people in the country, including the Global Nepali Professional Network, the Computer Association of Nepal-USA and the Non Resident Nepali Association of USA. "It's chaos [in Nepal] right now," Bhurtel said. "We are trying to get information using personal contacts, calls, emails and social media posts." But it’s only getting harder to contact people who have flooded the shelters in Nepal, according to Panthi. “There’s no electricity, no cell service, no Internet, and all their devices are now dead,” he said. "Some people are now traveling back to Nepal to find out what happened to their relatives." In New York’s Jackson Heights neighborhood, home to a large Nepali community, candlelight vigils were held on Saturday and Sunday for the earthquake victims. "The only thing that matters right now is to check my family is fine, be sad for those who passed away in the earthquake and pray for the people of Nepal,” Gyatso said.